The owner of GaydarRadio has relinquished its digital licences to smaller not-for-profit rival Gaydio, saying that the cost of DAB was hurting the growth of its core business. QSoft Consulting will hand over the licences to Gaydio on January 7. It said today that the transfer of the licences will enable it to focus on core business interests such as the Gaydar.co.uk and GaydarGirls.com dating sites, mobile sites and apps. As a result, GaydarRadio will cease broadcasting from its Twickenham base and all programming will be controlled by Gaydio from its Manchester operation. GaydarRadio currently reaches 750,000 listeners per month (RAJAR/IPSOS MORI) through its DAB licences for the London and Sussex areas, mobile apps and online sites. As part of the agreement between Gaydio and QSoft Consulting, the Gaydar dating brand will continue to be supported by on-air editorial programming and advertising support. GaydarRadio began broadcasting in 2001 as an internet-only radio station before winning its DAB licences. The station has won numerous industry awards including Sony Radio Academy and Arqiva awards. Gaydio began broadcasting with a part-time licences in 2006, before winning a full-time FM and licences in 2008. 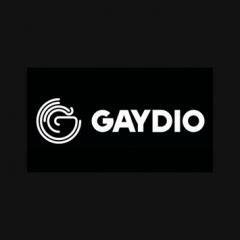 Gaydio began broadcasting on-air and online on a full-time basis in June 2010 and is the UK’s first FM gay radio station, attracting approximately 100,000 listeners per month. Trevor Martin, CEO of QSoft Consulting, said: “Everyone associated with GaydarRadio should be immensely proud of what the station has achieved. The station has devoted an extraordinary amount of time to help social causes within the LGBT community as well as supporting talent within the music industry. The transfer of the DAB licences to Gaydio will ensure that the time and money invested in GaydarRadio will continue to live on and be supported in an appropriate way, with the support of the Gaydio FM licence. Toby Whitehouse, station director and co-founder of Gaydio, stated: “This is great news for the UK’s LGBT community as this will create a unified and stronger programming opportunity on the FM, DAB and online broadcasting platforms.